Rua Fonte Taurina, 99-101, 4050-270, Porto, Porto, Porto and North, PORTUGAL. 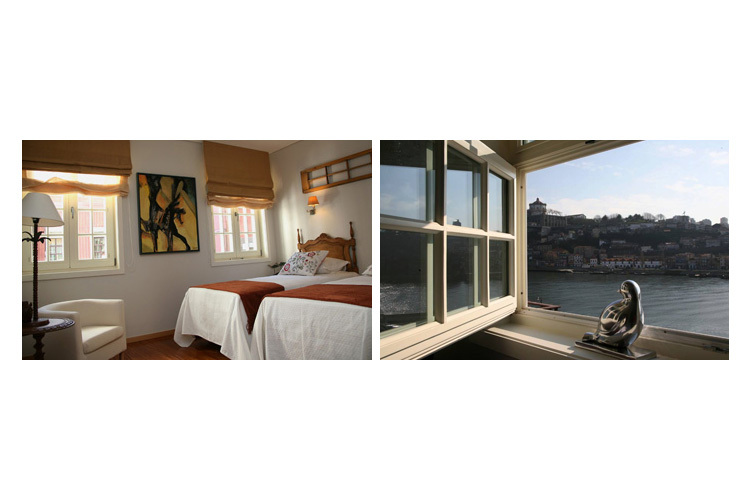 Guest House Douro, a unique boutique hotel, offers a warm and personal waterfront city experience in the heart of historical Oporto. 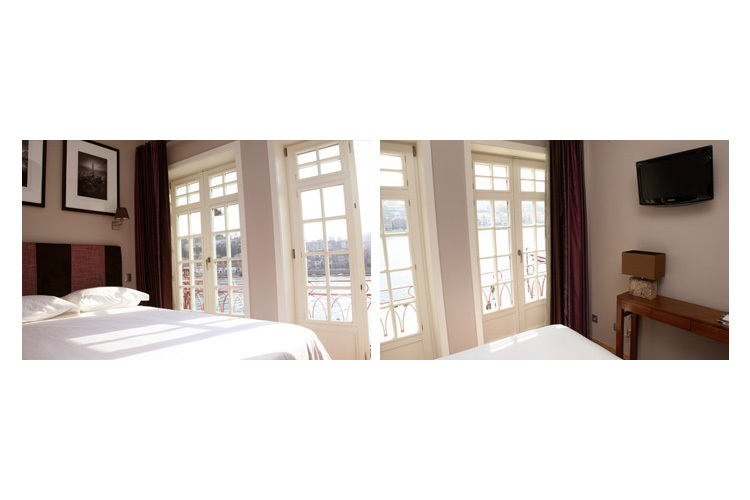 Part of UNESCO's World Heritage Site and a classified National Monument, Guest House Douro enjoys historic status and wonderful views. Behind the ancient walls, lies a totally renovated interior with all modern comforts such as private baths and Internet access. 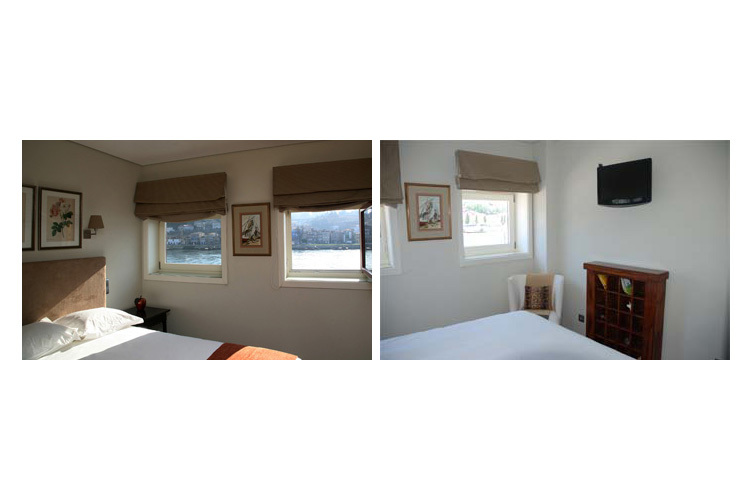 All 8 rooms look out to either the Douro River, the emblematic Dom Luis Bridge and the numerous Port lodges that line the riverbank in Gaia, or the romantic Fonte Taurina. With exceptional personal service and attention to detail, Guest House Douro is owned and operated by Carmen Rodriguez and João Fonseca. Just tell them your special needs or requests and they customize your stay. 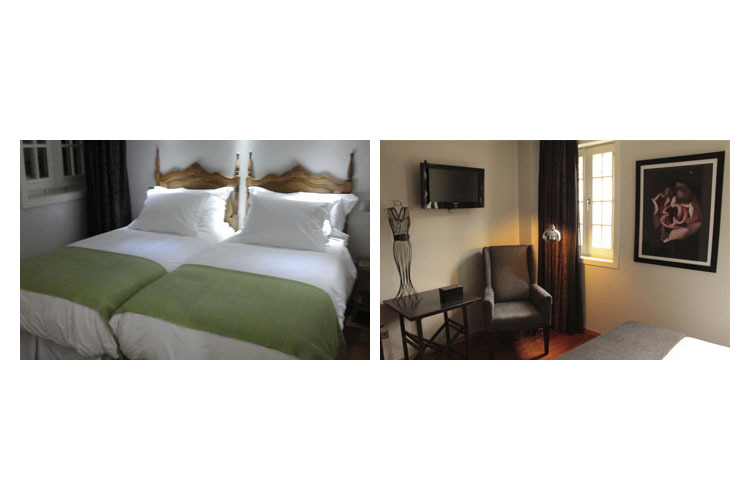 Guest House Douro is more than a place to sleep, it is an experience. 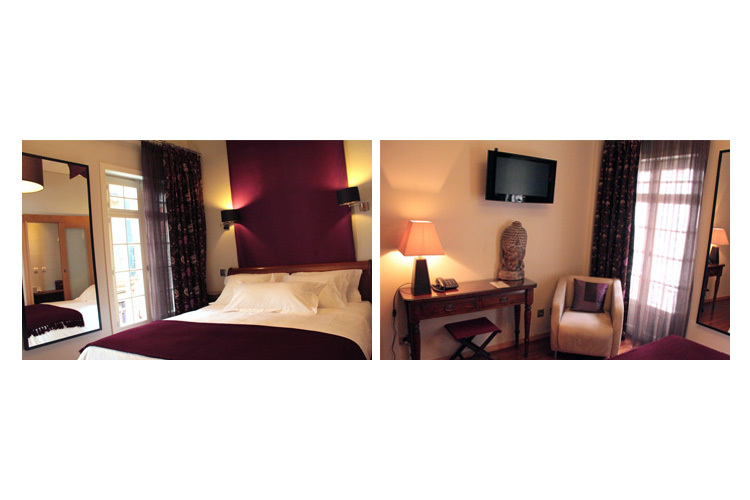 Most rooms have one double bed or one large double bed or one queen size bed for a maximum occupancy of two people. Room 301 has two single beds. 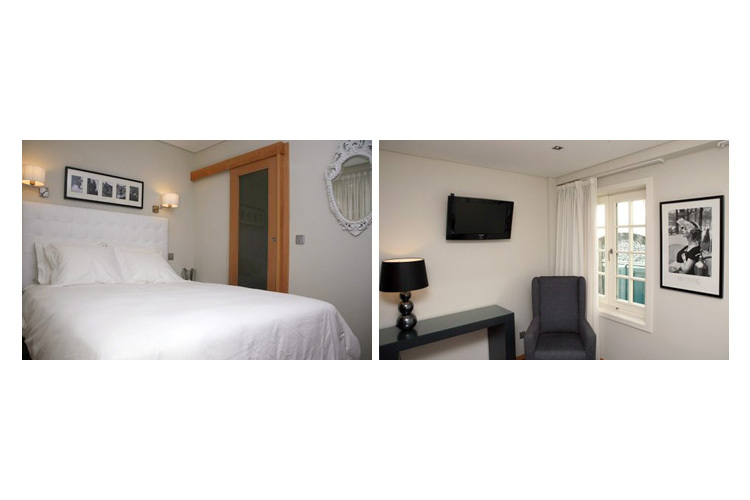 Room 401 could accommodate a small third person on a sofabed (58 cm x 2m). Each room features: elevator access, large windows, private bathroom, hair dryer, air-conditioning, wood floors, safe deposit box, CCD television, direct-dial telephone, room service, and hi-speed wireless Internet access. Please note: The front door is locked at 01:00am. Guests do not have a front door key so nobody can come in after 01:00am. 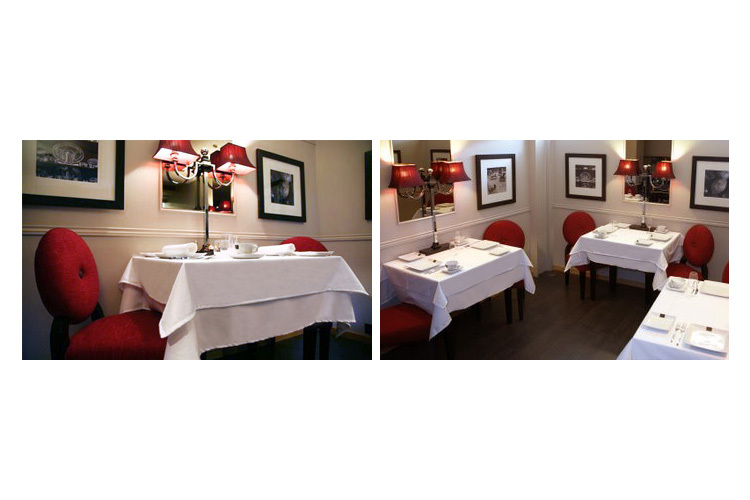 Meetings: The breakfast room could serve as a meeting room for 6 people. The airport is can be reached by metro, shuttle, or taxi. The beach can be reached by bus or cable car. Train: The São Bento train station is 10 minutes away. Parking: available right up the street under the Square ("Largo do Infante"). Children: This hotel is not appropriate for children under 4 years old. There is only one room that can accommodate three people. Room 401 could accommodate a small third person on a sofabed (58 cm x 2m). 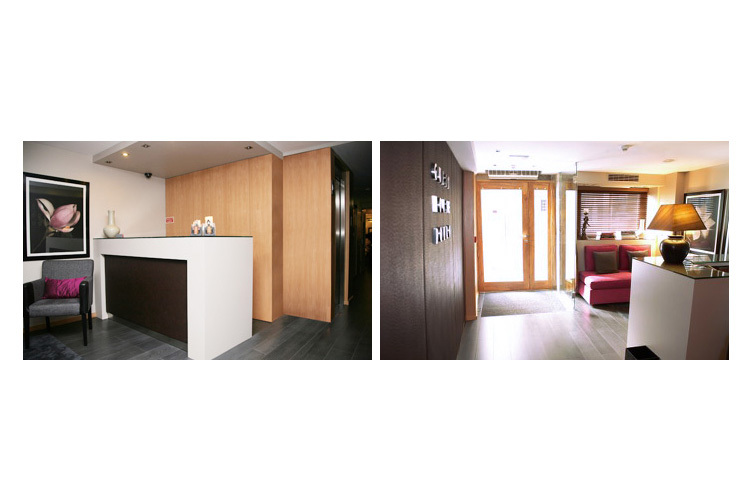 Year of establishment and/or latest refurbishment: 1763/2008/2009. Period of closure: January 7 to March 9 and certain winter weeks. (Contact Hotel to ask). By car: This historical neighborhood is not always accessible by car, please email for details. 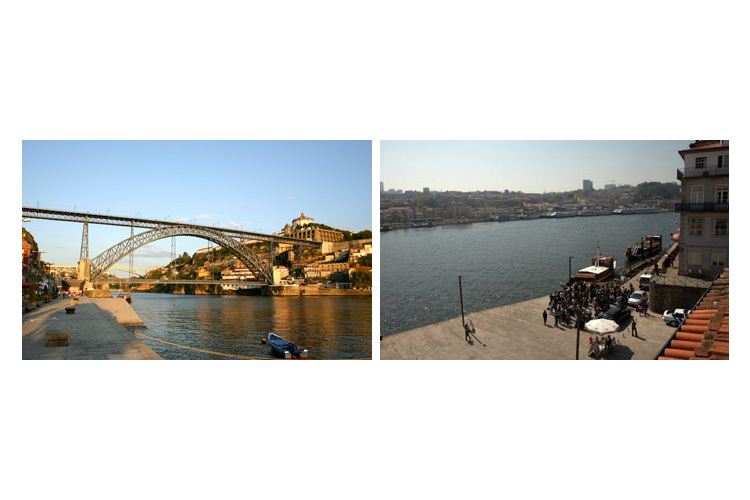 Driving Instructions from Lisbon: A1 Highway to Oporto, direction; Ponte do Freixo. Exit at Freixo-Gondomar/Entre-os-Rios. At the second roundabout follow the Porto (marginal) sign. Drive along the river, through the tunnel and turn left on the first street after the tunnel. Go down and turn right at the river until the next square and park to unload. Guest House Douro is on your right, a black-tiled house, with the entrance on the little street Fonte Taurina. Driving Instructions from Oporto's international airport: Take the IC24/A41 and then IC1/A28 Highway towards Oporto. Get off on exit to VCI/IC23, direction Ponte do Freixo. Exit on Freixo-Gondomar/Entre-os-Rios. Then follow the same directions as mentioned above. Bedroom 140 210 incl incl. Breakfast per person incl. incl. 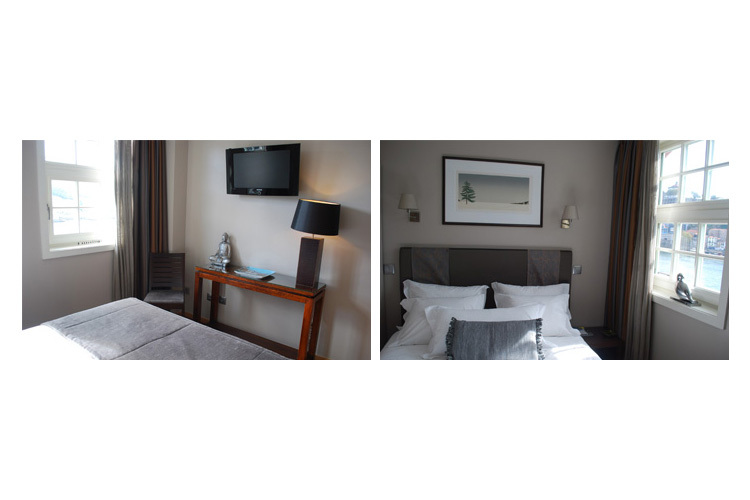 Rates include breakfast, taxes and service, are per night per room based on single or double occupancy. 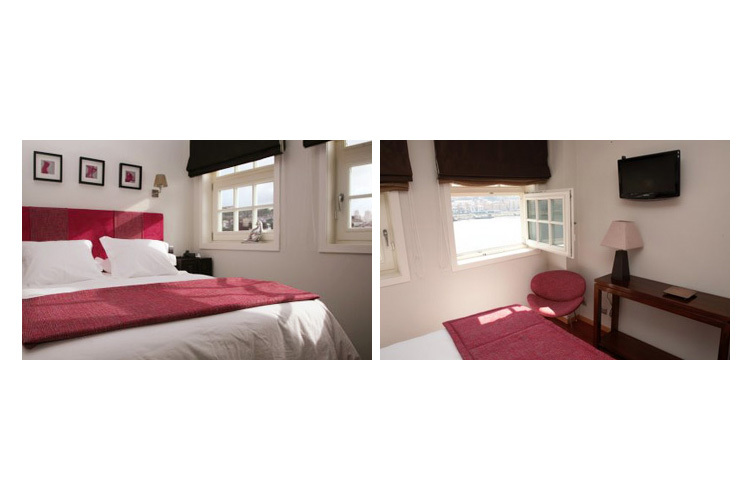 Minimum Stay: two nights for waterfront rooms. Reservations must be guaranteed by credit card. A 50% deposit is required upon booking. Full refund if cancellation is made at least 20 days prior to date of arrival. If cancelled between 20 to 10 days prior to arrival date, only 50% of the deposit is refunded. If cancelled less than 10 days before arrival date, the deposit is not refunded. In case of no-show on check-in day, 100% of stay will be charged. Should the cancelled room be reserved by another guest, they will contact you for full refund after the date of your scheduled departure.